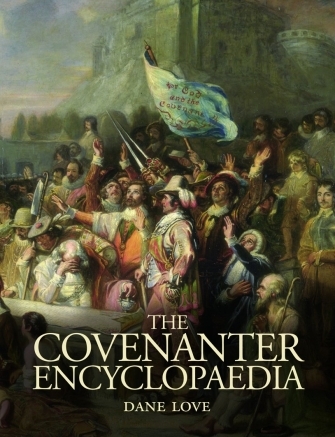 The Covenanter Encyclopaedia can be purchased direct from the author's online Bookshop. The hardback edition of this book is now out of print. This is one of the most comprehensive books ever published on the Covenanters, written by one of the leading authorities in the field. The range of subjects covered is impressive. In the Introduction the author traces the lineage of the Covenanting movement back to the Reformation and the abolition of the Roman Catholic form of church governance and its replacement by the Church of Scotland and Presbyterian principles. In the main encyclopaedia section there are entries on every city, town and village asssociated with the Covenanters - from Anwoth to Aberdeen, Earnock to Edinburgh, Glassford to Glasgow. The author tells the story of the Covenanters, and their persecutors, who hailed from those places and gives details of the local buildings and monuments connected to the struggle for religious freedom. Then there are mini-biographies of the legendary figures on both sides of the conflict: Peden the Prophet, Richard Cameron, Donald Cargill, Jenny Geddes, Grisel Hume, John Brown of Priesthill, the Wigtown martyrs, Archbishop Sharp, John Graham of Claverhouse ('Bloody Clavers') and Thomas Dalyell of the Binns. This was of course a time of great strife and the major battles of the period (Drumclog, Rullion Green, Bothwell Bridge, to name but a few) are covered in some detail along with the infamous deeds perpetrated during the Killing Times. The book is lavishly illustrated with more than 80 paintings, lithographs and photographs. These include major artworks, such as the 'Martyr of the Solway' by the great pre-Raphaelite painter Sir John Millais, 'After the Battle' by Robert Herdman and 'Marriage of the Covenanters' by Alexander Johnston. The author has also devised ten tours, stretching right across Scotland, for anyone wishing to see those places that feature in Covenanter history.